FM Synthesis was developed at Stanford University in 1968 and was a revolutionary step in sound design. Instead of using oscillators and filters like analog synthesizers, FM synthesis modulates a timbre of a simple waveform (such as a square, triangle, or sawtooth) by modulating its frequency. 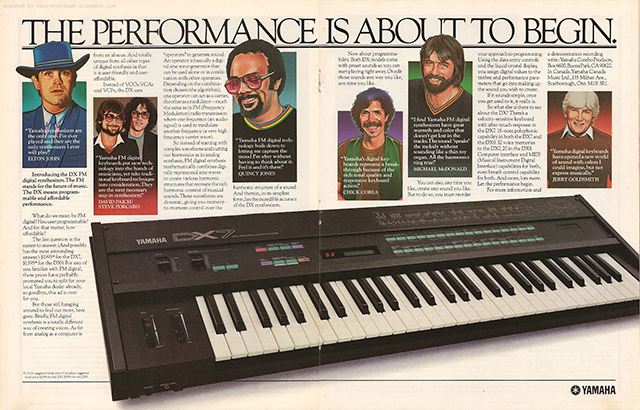 The synth to push FM to the mainstream was the famous DX7, still the most well-known non-software FM synth out there. Dubspot contributor Ross Kelly took a close look at the history of the DX7 in his Classic Gear series, available here. It may sound fairly complicated and FM can be difficult to wrap you head around for beginners. But Dubspot is here to help. In this workshop at Decibel Festival 2014 in Seattle Chris Petti explains the history and application of FM Synthesis in simple terms. Chris uses Native Instruments FM8, Ableton Live 9 Operator, and Reason’s PX7 synthesizer. An excerpt from the BBC documentary “The Shape of Things That Hum” about the DX7.